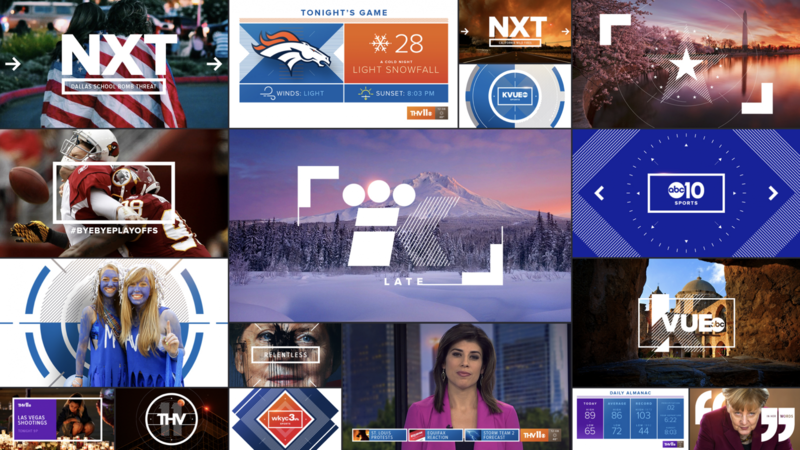 TEGNA is a 46 station news hub that makes up 32% of the U.S. market. 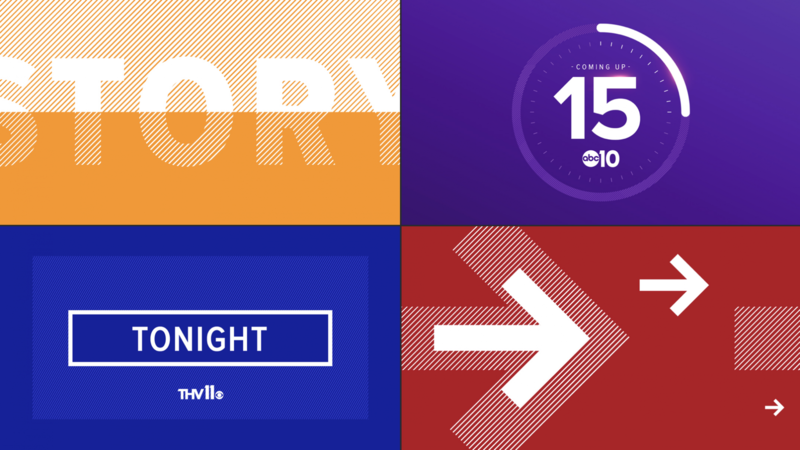 This rebrand needed to redefine news for modern viewers with multi-platform habits. Flexibility was very important. 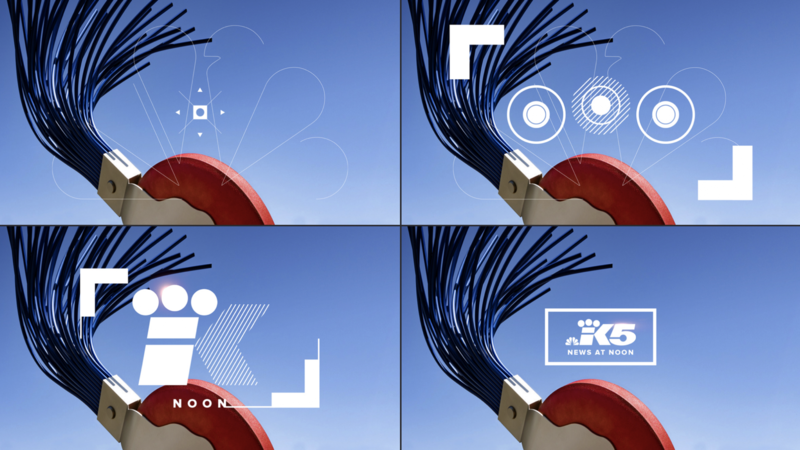 The brand had to work as a unified design system nationwide, while also reflecting each community's individuality. 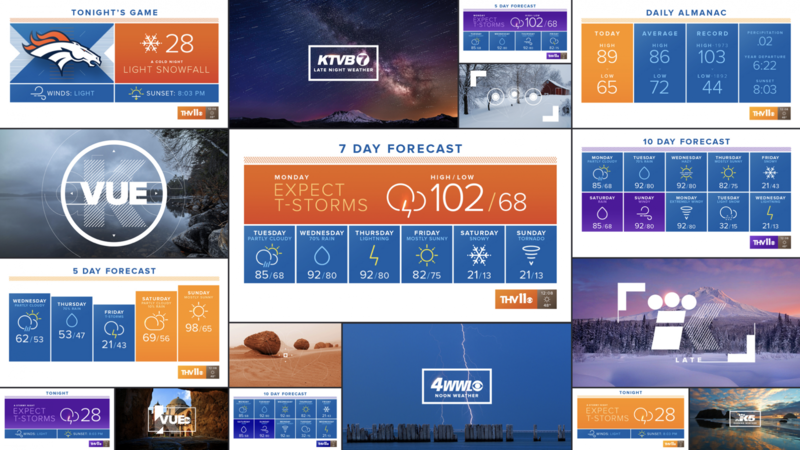 The project required strong local branding that was colorful and contemporary with minimal screen interference, and above all else: it could not look like traditional news. One simple concept: "The Frame." 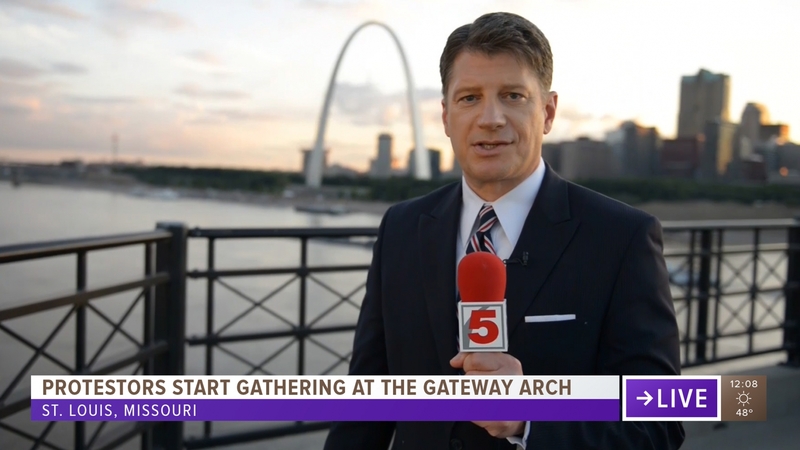 The frame is a graphic representation of community that helps illustrate what's happening from a local news point-of-view. Photography is important- it literally showcases Tegna's communities. It also establishes the day part system: making opens more customizable for seasons, holidays, etc. 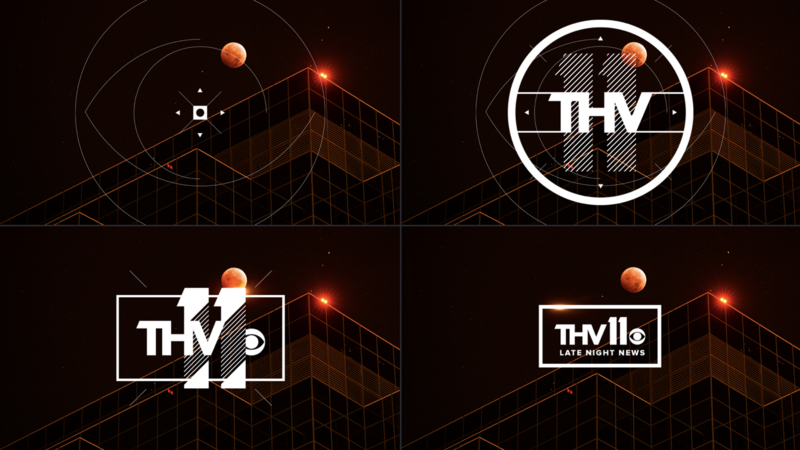 Simplified station logos, and a more cohesive brand experience that was easy to read on all of today's platforms. 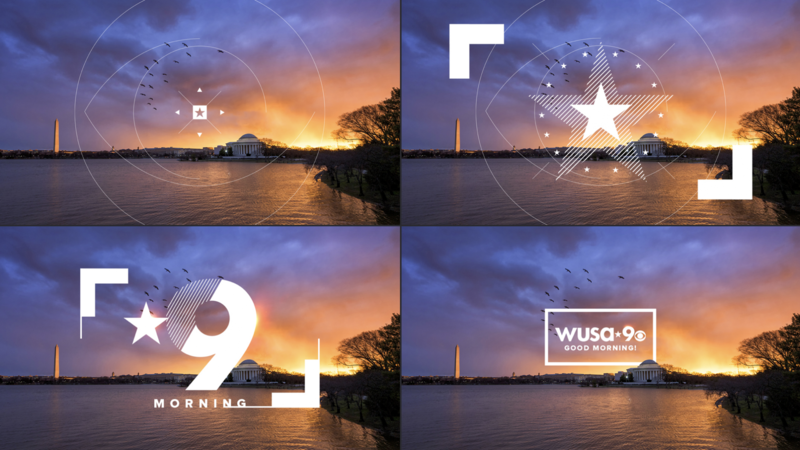 This allows the networks to transition into the new day part color and photographic systems, where each newscast possesses its own color branding, anchoring the entire navigational system to the time of day. 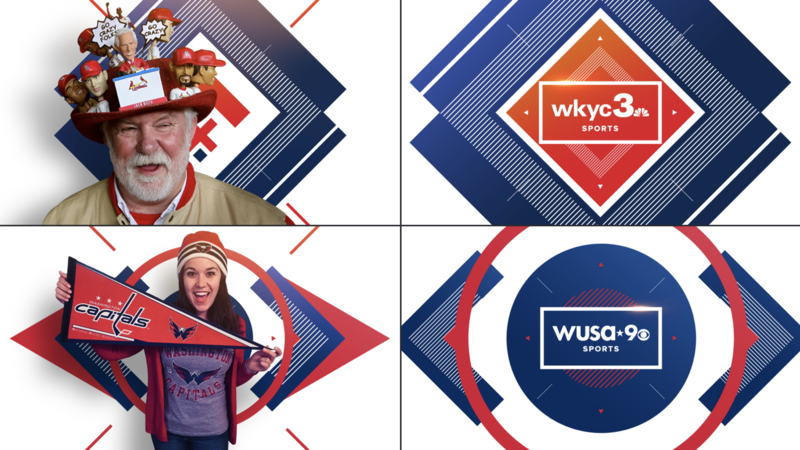 Additionally, a custom icon set for weather reporting that allows for quick scalability on any platform, and sports opens were created to feature fans to better highlight the passion communities have for their teams. After airing on only 12 markets, the new look out performed the old by 19% in 3 weeks. It also performed better with the female demographic, as well as the younger 25-34 Multicultural and Affluent demographics.